Selecting the right product for your dock, pier, or boardwalk has never been simpler. With Pier Advantage, every choice is the right one. 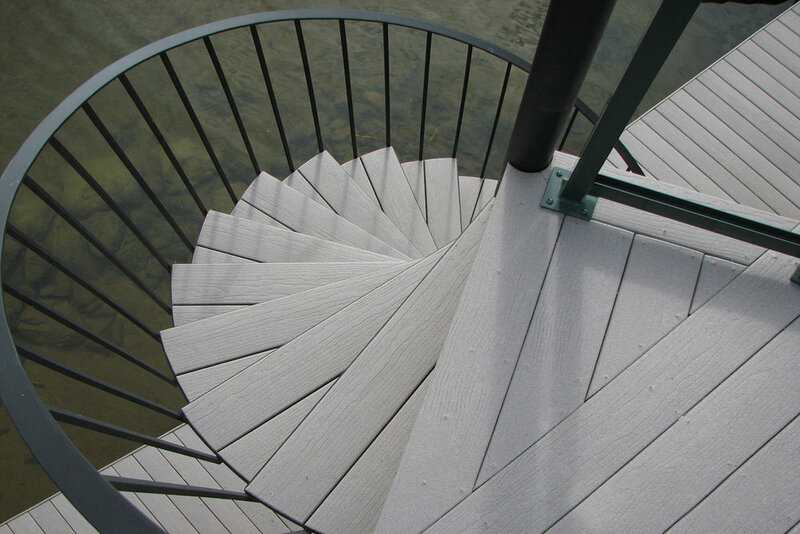 Offering both natural wood planking and ecofriendly composite, Pier Advantage has the options you want and the performance you need. 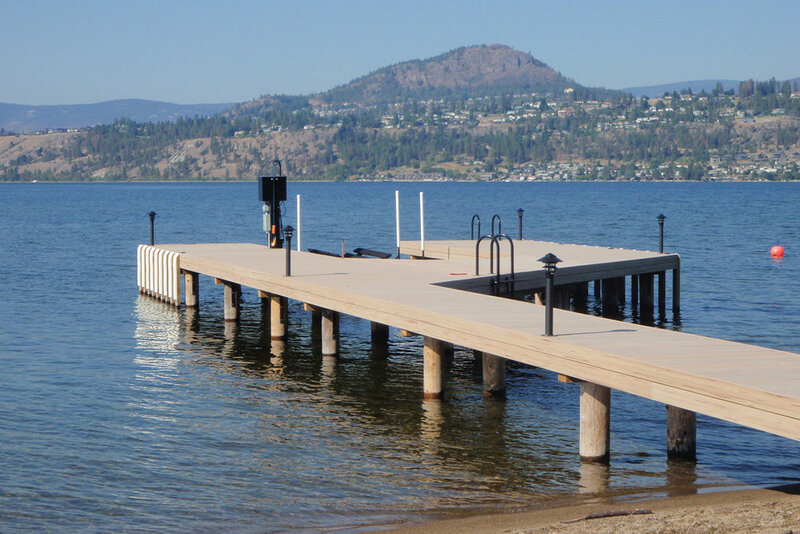 Pier Advantage Wood Dock Planking, exclusively designed for waterfront applications, is a natural, environmentally-friendly solution for docks, piers, and boardwalks. Pier Advantage is made from only top quality, high-grade dimensional Southern Yellow Pine. Hand-selected for quality and appearance, Pier Advantage is straighter, with less wane. 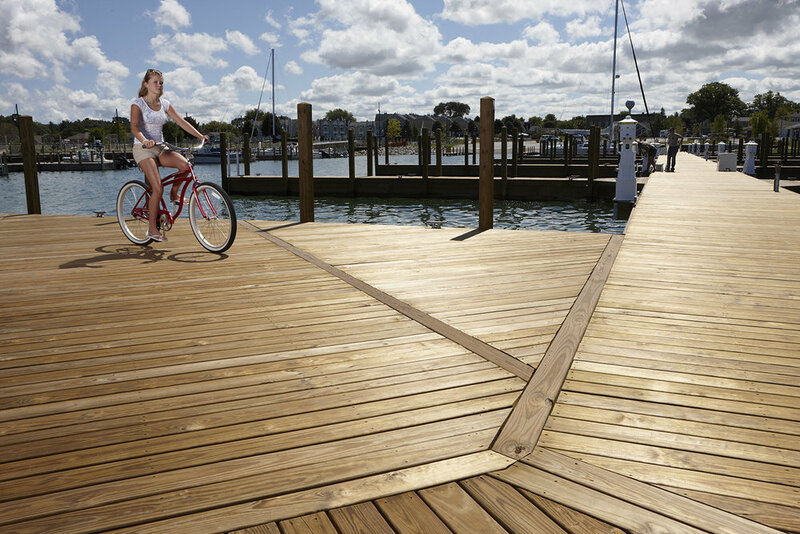 Pier Advantage Wood Dock Planking is engineered with eased edges and stress relief grooves. This unique wood plank is stronger and easier to work then typical wood planks. 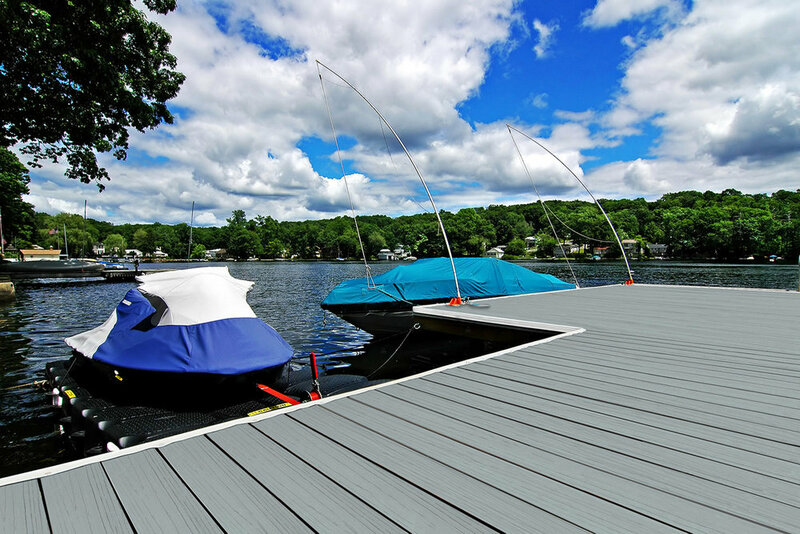 When your project requires a composite dock plank, Pier Advantage, manufactured by MoistureShield, is the professional’s choice for waterfront applications. Made from 95% recycled post-consumer product, Pier Advantage is a friend to the environment. Manufactured with MoistureShield’s Total Fiber Encapsulation process, each board is protected against rot, decay and termite damage. ✓ 8 different colors to choose from. We are proud to stock the Midwest’s largest supply of piling, ranging from 20’ to 50’, in 5’ increments. Available in a wide variety of sizes, species and preservatives, we are sure to have what you’re looking for. We remain dedicated to superior quality standards, so build your next project with the structural integrity that only our piling can provide. The Lower Yahara River Trail, which connects Lake Farm County Park in Madison with McDaniel Park in McFarland, stands as the largest Pier Advantage Composite installation to date. This $8 million trail includes the longest bicycle bridge and boardwalk in the state of Wisconsin and serves its community by creating a quick route for pedestrian and cyclist commuters as well as providing access to some of the states' most stunning views. 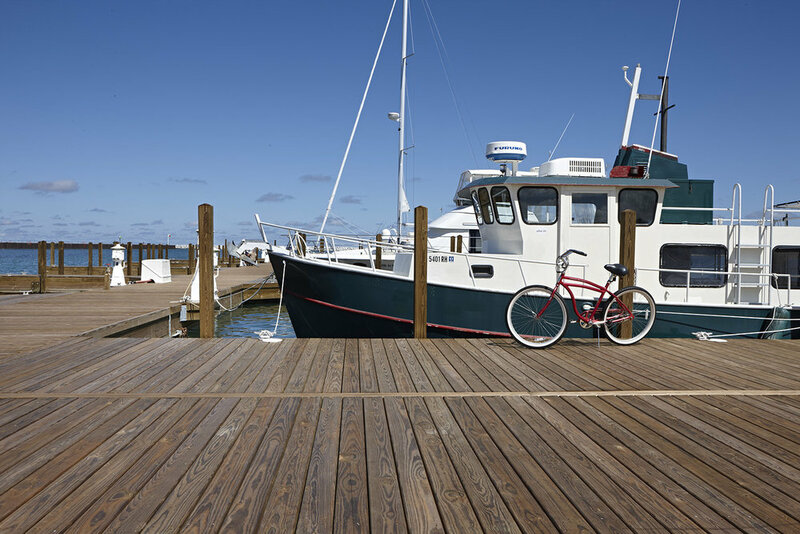 Beginning in early 2010, the Port Austin State Marina underwent a major overall to transform one Michigan’s most outdated harbors into one of the state’s most modern. Consisting of three different construction phases, the project was set to be completed by the end of June 2014, to take full advantage of the boating season. Upon completion the marina would be capable of providing accommodations to 67 boats up to 70 feet in length. Appointed by the Michigan DNR and state department, Great Lakes Dock and Materials, LLC would take the lead as project contractor. Having successfully collaborated with Pine River Group, a building materials supplier out of Michigan, a few years prior on the St. Clair Boat Harbor in St. Clair, Michigan, President of Great Lakes Dock and Materials, Joseph Bailey, once again sought the expert opinion of their team. The project would take an interesting turn when Howard Haselchward, President of Northwest Design Group Inc., the engineering firm overseeing the Port Austin marina renovation made a revision that raised the bar on material standards. 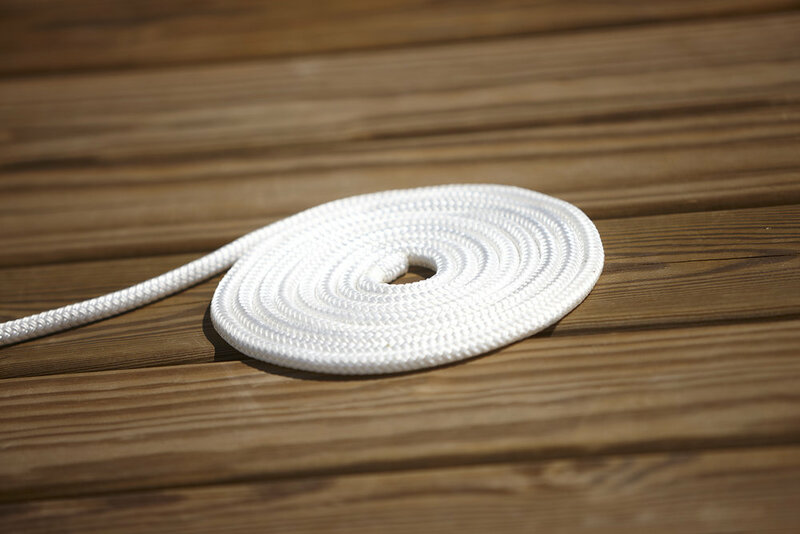 Per Haselchward’s instruction the decking used for the floating docks was to be “clear” product with virtually no knots in the wood. At this point in time a product of this caliber was essentially nonexistent in the treated lumber industry. Accepting the challenge, Gary Cummins, Manager of Pine River Group’s commercial sales division who specializes in marine products, set out to find a product that could meet the project’s specifications. The "new" decking product that would eventually make the cut and be branded as Pier Advantage was a real wood board with a superior appearance grade and outstanding performance characteristics. 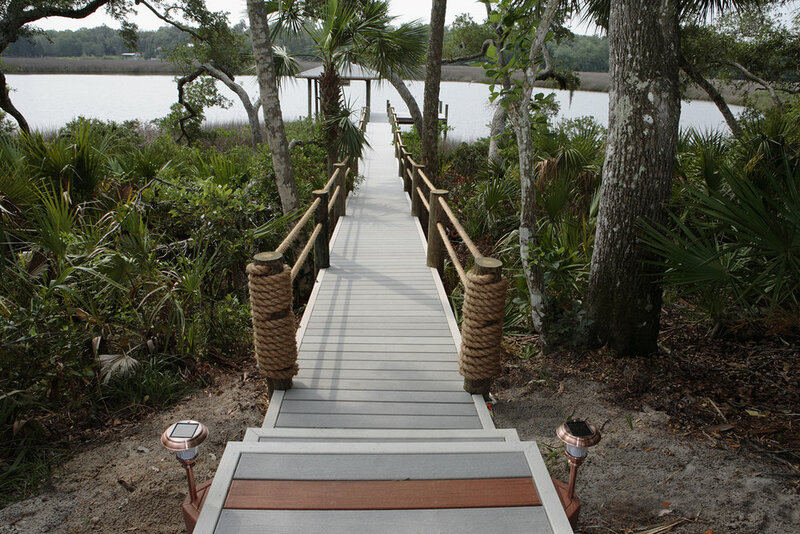 Sourced and produced through the alliance of Pine River Group and Chattahoochee Forest Products, Pier Advantage set a new standard for dock planking. ✓ A $150,000 investment in dimensional lumber, timbers and Pier Advantage wood decking was used to fabricate the marina’s floating dock system. ✓ No delays were experienced in Pine River Group’s product delivery schedule, enabling the construction team to finish on time for the grand opening July 1, 2014. ✓ The Port Austin Marina now stands as a $3.4 million crowning jewel of the area’s waterfront properties and harbors. In the fall of 2014 Gary Cummins, the point person on marina products at Pine River Group, was contacted by Dr Kenneth Spano, President and Board Chairman of Newport Harbor Marina, and Jim Travarca, Harbor Manager. They were searching for an alternative product to replace the decking and side boards on the existing docks at the marina, as the current structure was failing and in very poor condition. Dr Spano had been impressed by an installation he visited at the Port Austin Marina in Michigan. Port Austin has chosen Pier Advantage, a dock planking exclusively distributed by Pine River Group. Pier Advantage quickly became one of the top considerations for the Newport Harbor Marina project. Due to the unique “dock-o-minium” style at Newport, where each boat owner owns his or her own dock, any product used to reconstruct the marina’s docks had to be unanimously agreed upon. With a total of 100 slips at the marina, this proposed quite a challenge and highlighted the need to find a superior dock planking. it best to visit the property in person to gain a better understanding of the developed construction plans. Both Dr Spano and Jim Traverca appreciated Gary’s commitment and effort to ensure that Newport found the best fit for their marina. Gary was impressed, to say the least, by the overall grandeur of Newport Harbor and the Shorey Club property. From the stunning lake front mansion, that serves as the main clubhouse, to the pristinely manicured landscape, it was overwhelmingly clear that Newport valued quality and perfection in all aspects of the club and marina. Pier Advantage seemed to be the perfect fit for this project. The final challenge to overcome was the decision to go with plastic or wood decking. Jim was a huge proponent of plastic decking, while Dr Spano preferred natural wood. Dr Spano admired the classic beauty of the marina in Port Austin, which had use Pier Advantage Wood Decking, and saw the same vision for Newport. The choice was put to a vote among club members and it was decided that Pier Advantage Wood Decking was the clear favorite. Construction began immediately and was completed in the spring of 2015. ✓ Jim Travarca reported that they were very impressed by the commitment and attention to detail that Gary provided. ✓ Upon completion of the dock take-offs in February 2015, material was ordered and delivered with no delays, keeping the project on track for competion in early spring of 2015. ✓ For a total product investment of $100,000 Newport Harbor Marina boasts 100 natural wood boat slips that have both pleased current members and attracted new ones. ✓ According to Jim, Newport’s members were looking for that “real wood” beauty. Pier Advantage wood was able to accommodate those needs and has given Newport Harbor a fresh overall aesthetic appearance. A project put forth by the St. Clair County Parks Department in Michigan sought bids for high grade cedar for a boardwalk that was soon to be built along the scenic St. Clair River. However, it was quickly determined that finding a source capable of quoting the grade of cedar needed and delivering that product within a reasonable time frame was going to be a major issue. Yet for an area that is in close proximity to water and experiences harsh winter conditions, durability was a non-negotiable attribute for the project's decking; so parties turned to Commercial Sales Manager, Gary Cummins, at Pine River Group, for professional insight and assistance in finding a suitable alternative to their original plans. With over 30 years’ experience in the commercial and marine industries, Gary's voice has become a well-respected one among industry professionals. After reviewing the project and paying particular attention to the specific quality needs, he proposed Pier Advantage Composite Dock Planking as the best option, surpassing even cedar, for the project. Following Gary's recommendation and sample inspection, Pier Advantage Composite was fully endorsed by Pam Blough at PMB, the landscape architect for the project. ✓ When construction is finished, over 1,000 Pier Advantage composite deck boards will have been laid by Boddy Construction out of Marysville, Michigan. ✓ The concern of durability has been put to rest with the incorporation of Pier Advantge, which will provide a 25 to 30 warranty for this project. ✓ Project completion slated for September 2017.